The Movie, FIFTY, captures a few pivotal days in the lives of four Nigeria women at the pinnacle of their careers in the resurgent, ever-bustling, 24-hour megacity of Lagos, the commercial capital of Africa’s biggest and most vibrant economy. Tola, Elizabeth, Maria and Kate – four friends entrapped in the intense and pulsating story of love and lust; power and rivalry; life and loss. Tola (Dakore Akande) is a reality TV star whose marriage to lawyer Kunle never stood a chance thanks to an unpleasant family secret. Elizabeth (Ireti Doyle) is a celebrated obstetrician whose penchant for younger men has estranged her from her daughter. Forty-nine year-old Maria (Omoni Oboli) has an affair with a married man that results in an unexpected pregnancy and Kate’s (Nse Ikpe-Etim) battle with a life-threatening illness has plunged her into religious obsession. Four lead characters who must muster courage, put on their six-inch heels, work hard and party too, as they battle to tackle life’s curveballs head-on. the same time, I don’t want him to think I’m stupid and that I don’t know what’s going on. I’m even starting to question if it’s all my fault … how should I approach the situation? Is it really my fault? 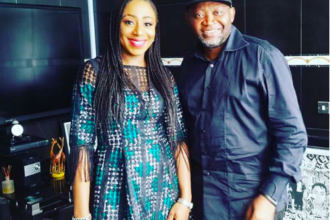 Tola is a character in FIFTY, a riveting and emotional feature film production of EbonyLife Film executively produced by Mo Abudu. Tola is played by Dakore Egbuson-Akande. 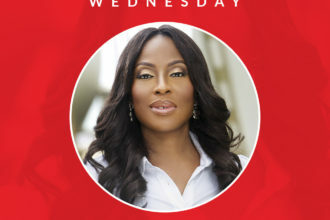 If you were in Tola’s shoes would you confront your husband, or play the fool? Would you be scared to start your life all over again? Is she responsible for the situation she’s in?